Instamic wants to do for microphones what the GoPro did for cameras. Many analog years ago, digital recorded audio won the popularity contest. Nowadays, whether it’s from your mobile phone, infotainment system or personal audio device, every sound you hear is from digitally encoded bits. Digital audio has eliminated all of the analog audio’s distortions and noise-related problems. Quite simply, people are shaped and drawn to recorded audio, ranging from music producers, to creative artist, to the everyday consumer. It’s in these moments for the user, high-quality audio conveys clarity in the recording moments. In today’s user interfaces, from media and podcasts to tablets, many whizzing bits are streaming a world of information including audio — readily available at every reach of a finger or ear. More and more, we are seeing the prolific expansion and seamless integration of the stack. What does this all mean, though? Screen time now captivates us, while voice recognition and audio are blended into the user pathways of UX. Spurring from technology, we see popular apps like Evernote and iOS/Android natively adopting audio recording right within its inherent interface. These apps are taking in the voice user input to also drive UX — cleverly weaving experience, intention, outcome, commenting and moments. Almost every sound you hear coming out of a speaker is digitally sampled and encoded. Moment upon moment of keynotes stored are recorded more, albeit in the format of video or audio, we are seeing an increasing number of unique use cases to why one would want to capture a particular moment. These moments offer an on-demand periscope — referencing a historic timeline of ripples in our experience, memory, and journey through work, life, play, and what matters most to us. For much of our pleasures, sound is always in digital — whether it’s on your smartphone, computer, radio, television, home theater or in a concert hall. Today, across many electronic devices, audio recording is integral transition to many advanced features applied toward enhancing old ways of doing things. Just take a look at visual voicemail, and how recording voicemails took the next leap once UX and advance playback was offered. Visual and digital voice recording meshed with non-linear play, took voice playback to the next level. I’d go so far as to point out that most people never hear analog recordings anymore. Why does bit depth matter, you ask? Bit depth refers to the number of bits you have when a device is capturing audio. Below is a graph showing a series of levels in how bit depth works. There are 65,536 possible levels for 16-bit audio. As for 24-bit, there are 16,777,216 levels. Now, let’s see how the depth is explained. The capturing of audio can be sliced in partitions at any moment in time such as shown in this graph. To move to higher resolution in audio, every bit added counts toward greater resolution. The deeper the bit depth, the number of levels stack greater audio information, layering richer context to the profile of the audio being recorded. Altogether, what’s said describes a segment of audio frozen in a single slice or moment of time. The second integral “high quality” factor is called sample rate. Together, bit depth and sample rate complete the higher resolution audio model. The sample rate represents the number of times your audio is measured or “sampled” per second. The typical standard for CDs, the sample rate is 44.1 kHz or 44,100 slices every second. Digital audio eliminated all of analog audio’s distortions and noise-related problems. In that sense digital is “perfect.” When analog recordings are copied, there are significant generation-to-generation losses, added distortion and noise; digital-to-digital copies are perfect clones. Some recording engineers believe digital doesn’t have a sound per se, and that it’s a completely transparent recording medium. Analog, with its distortions, noise and speed variations imparts its own sound. Arguably, perfect, it is not. This is why high resolution in audio paired with the best form factor and ease and usability go hand in hand. As to whether digital composes sounds with better quality than analog, that’s merely a moot point. Digital audio recording and its very nature of having the ability to slice into segments and layer, then import into other applications and change into enhanced or analyzed into wave forms has been remarkable and pivotal for many industries. In fact, we now see results of digital audio having a significant impact when having the ability to vector to angular and distinct wave form shapes as to help identify voices and interpret intelligent voice recognition. These encoding factors coupled with deep learning programmatic layers are ushering in a new era of digital interpretation and digital recognition. Despite such a proposal of questionable technical and audible merits, founder of Instamic Michelle Baggio apparently moved ahead with the idea and recently launched a well-funded Indiegogo campaign for a new audio and player designed to revive factors of instant usability and simplicity that has been squeezed out of digital recording. Thoughts and experience can now be easily captured or reduced to a series of moments, but it is in this very reason for being captured that one can traverse thoughts by memorable experience to episode, so we as users can stitch what’s most meaningful to formulate a mosaic of audio recordings to help serve a purpose. Whether it’s for applications in medical, academics, business, music or film, the list goes on and on… even a victim of memory impairment can find good use for Instamic. Instamic isn’t just an ordinary microphone. It happens to be the smartest, smallest and most affordable digital audio recorder that is also easy to operate, combining usability with the smartphone. It attained over 2,500+ backers and crowdfunding exceeding 539% its original campaign goal. With that many backers and goals funded beyond expectations, there are good market/application factors yielding wider acceptance and adoption of more and more of these audio recording tools. Instamic can function as the day-to-day voice logging tool of choice. We have now leaped into the “Recording Revolution.” GoPro had an effect on the video revolution, opening up a periscope and view into so many never before seen vantage points. Previously, only a number of people had access to seeing. Adventures and passions of people, shared from around the world into showcases for all to experience what they had seen. Giving an eagle’s eye into the experience of many, providing a viewport into those that would never have seen amazing video capture. The recording revolution is upon us and will grow. Instamic is a mic build and made for everyone. Not only is this recording device at 24-bit, the sample rate matches industry high resolution standards at 96khz sample rate. That’s right, based on the aforementioned bit sampling description, that puts the recording at high resolution of 96,000 slices of audio sampled per second. Instamic records at 96khz/24-bit, having both mono and dual-mono while its Pro version even boasts stereo recording. This simple but advance digital recorder features omnidirectional polar pattern. Omnidirectional polar pattern records and performs ideally based on its small form factor. A peek inside reveals the architecture of quickly including minimal-phase digital filtering, zero-feedback circuitry, one of the “best sounding” DAC -nabled chips available with dual 2Msps, 12-bit DAC and analog comparator, and an all-discrete output buffer. Instamic has the ideal form factor — it’s tiny and can be virtually attached to anything. As a standalone recorder, given the right price and origin of this idea, it can very well replace conventional handheld and lavaliere microphones. Packed with mounting options (magnet, velcro and tape) and a quick release clip, the super portable gadget can register hours of 48khz/24-bit sound in mono and dual mono mode, as well as in stereo quality with its Pro variant. A built-in, rechargeable battery allows for roughly four hours of uncompressed audio recording, with duration varying slightly depending on charge time, temperature and storage conditions. Instamic has a frequency response of 50 to 18,000Hz. Try doing this with current smartphones or other devices, and batteries will drain quick. Then, recording is sensitive having a frequency response of 50 to 18,000Hz. Instamic crams big recording power into a small form factor which is highly usable because it can be tucked into anything. Simplicity seems to always rule the day especially when it comes to electronic devices looking to shape or better the way we do things in a day to day basis. What the GoPro did for cameras, this gadget wants to do for microphones. Given its compact design and minimal setup, Instamic is the perfect accessory for filmmakers, journalists and musicians as they will no longer need to lug around all that bulky, obtrusive equipment. Eliminating the need for cables, the wearable unit connects to its accompanying app over Bluetooth and enables users to control it remotely within a 30-foot radius, as well as simultaneously record with multiple Instamics. What’s more, the mic has been designed with the latest Atmel | SMART SAM 70S MCU, comprising 2GB to 8GB internal memory. Turning on the pocket-sized device requires a single tap of its logo, while another touch will begin the recording. From there, Instamic will automatically adjust the gain on its own in the first 10 seconds and will ensure that it remains at the optimal level. Tap and hold again for a second and it will stop. If paired with a smartphone, Instamic can also be controlled through its app. When a user needs to transfer a recording to their desktop, its microUSB charging port doubles as the file transfer system. Instamic comes in two models: Pro and Go. The Pro version’s waterproof, black shell makes it a suitable instrument for indoor filming sets, darker environments and even in five feet of water. Meanwhile, the splash-resistant, white Instamic exterior of the Go can remain inconspicuous in most bright, day-lit settings. Both can camouflage easily with custom design covers and handle the most windy conditions wearing Instamic Windshield. How is this being done inside? Intrigued? You can head over to its Indiegogo page to delve a bit deeper. This Bay Area-based startup has already met its crowdfunding goals and now quickly developing their products with the Atmel SMART | SAM S70, a high-performance ARM Cortex-M7 core-based MCU running up to 300MHz. The MCU comes with analog capability, fitting 12-bit ADCs of up to 24 channels with analog front end, offering offset error correction and gain control, as well as hardware averaging up to 16-bit resolution. SAM S70 also includes 2-channel, 2Msps, 12-bit DAC. The FPU further bolsters high quality audio by executing float point processing to render audio temporarily in a 32 bit floating point format. The recorders will render audio temporarily while the extra bits are added onto the file after recording to allow generous headroom for audio mathematics in the digital domain in memory. Before the file is output it will go through the 24 bit converters. “Floating point” scales the decimal point in a calculation and processing even more so. Furthermore, having 32 rather than 24 registers for calculations is going to render increasingly accurate result. With strings of only 24 numbers, it would be theoretically impossible to allow for other extensive calculations. Yet, when the data hits the 24-bit converter 8 bits are “truncated” or cut off. The said mathematical result is simply more accurate and as a result, we get high resolution output of the audio. Instamic’s MEMS microphones offer a breakthrough innovation in sound sensing. Having sound recorded with an omnidirectional microphone response (similar to sound studio environments) is generally considered to be a perfect sphere in three dimensions. The smallest diameter gives the best omni-directional characteristics at high frequencies. Yes, indeed there’s always something new to learn. This is the compelling reason that makes the MEMS microphone the best mmni-directional microphone. Industry wise, MEMS microphones are entering new application areas such as voice-enabled gaming, automotive voice systems, acoustic sensors for industry and security applications, and medical telemetry. What was once unthinkable early on, the unique construction of the MEMs microphone combined with performance and form factor make it all possible. Once again, Instamic originally stems from the well-funded pool of contributing patrons. The community has supported and validated this product’s potential for an ideal application to market fit. With this said, the demand is real. Shoot for the stars, right? Powered by Atmel’s latest Cortex-M7, Instamic is looking to become a household name when it comes to capturing high-quality sound anywhere, at anytime, on anything. This entry was posted in Application Highlights, Design Trends, Engineering Perspectives, Smart Gizmos & Gadgets, Wearables and tagged 24 bit, 32-bit ARM Cortex-M7, Analog Devices, Analog Front End, ARM based Cortex M7, Atmel SAM S70, Atmel Xplained Pro, Atmel | SMART SAM V71 Xplained Ultra evaluation kit, audio, Bit Depth, crowdfunding campaign, DAC chip, Digital Audio, digital signal processing, Digital Signature Algorithm, DSP and floating point, DSP architecture, DSP Concepts, Hardware Startups, Indiegogo, Instamic, Maker Movement, SAM S70, Sample Rate on February 19, 2016 by tomvanvu. This Arduino-compatible bot teaches children how to code and can be remotely controlled by smartphone. Let’s face it, there’s nothing more synonymous with DIY than arts and crafts. And while there are all sorts of paper projects out there, many lack in terms of interactivity and movement. That was until now. Thanks to one South Korean startup, young Makers will soon have the ability to create their own toy characters and personalize them as often as they choose. Kamibot is a programmable paper robot hybrid that can be wirelessly controlled by smartphone or tablet. 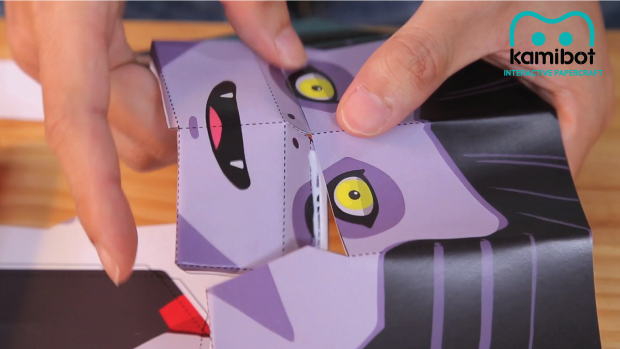 Completely modular, children can customize their character by simply attaching and detaching various magnetic designs to its body, which include Count Dracula, Frankenstein and a Transformers-like robot. And you don’t need to be an origami master to do so either — all the templates are available online. Just download, print and let the fun begin! The robot itself is equipped with an ATmega2560 at its core and Bluetooth connectivity, along with three IR sensors, a pair of DC motors for mobility, a servo motor for rotation, RGB LEDs for color effects, two encoders for speed control, and an ultrasonic sensor for detecting any obstacles that may stand in its way. Each Kamibot is also rechargeable via USB. An accompanying mobile app enables kids to remotely control their gadget and change its behaviors, as well as switch to “line mode” if they rather have its infrared sensors take over along a black line course. Aside from that, the app’s dashboard features a battery indicator, the distance from a nearby object, a speedometer, and a bar for adjusting the LED colors. It’s pretty smart, too. Kamibot can sense and navigate around objects in your living room and even illuminate various hues to double as a nightlight for children. But that’s not all. According to its creators, Kamibot was specifically made to serve as an educational toy. Since it’s built around the highly-popular Arduino platform and is compatible with Scratch, coding has never been easier — even for beginners. Interested? Head over to its Kickstarter campaign, where the team is currently seeking $50,000. The first batch of bots is expected to begin shipping in May 2016. This entry was posted in Arduino-Compatible, Robots and tagged ATmega2560, KamiBot, Kickstarter, Maker Movement, Paper Robot, Paper Robot for Kids on February 16, 2016 by The Atmel Team. These STEM toys from 2015 are helping to inspire the next generation of Makers. STEM education has been a growing venture in schools across the country, with even the President himself making it a priority to encourage students as young as grade-school to pursue the science, technology, engineering and math disciplines. After all, these fields are changing the world rapidly within the areas of innovation, economic growth and employment. But let’s face it; these subjects don’t come easy to everyone, so how do we instill STEM in kids? With this in mind, many startups have sought out new and exciting ways to entice the younger generation to explore their creativity and develop an interest in hands-on learning. Testament to that, here are several products from 2015 looking to inspire the next generation of Makers. The Gizmos & Gadgets Kit is the ultimate invention toolbox, complete with motors, wheels, lights , switches, servos, buzzers and even the tools to build a remote control. Jewelbots are programmable friendship bracelets that teach girls the basics of coding. Thimble is a monthly subscription service that delivers fun electronic projects with guided tutorials and a helpful community. Bare Conductive’s Touch Board Starter Kit contains everything you need to transform surfaces, objects or spaces into sensors. Small enough to fit on your keychain, backpack or bracelet, Makey Makey GO turns everyday objects into touchpads and combines them with the Internet. Say hello to the world’s first invention kit. RePhone from Seeed Studio allows Makers to create a phone themselves in minutes and hack a new way to communicate with things. mBot is an all-in-one, Arduino-compatible robot that supports wireless communication and employs Scratch 2.0-like coding. Ringo is a miniature digital pet robot equipped with an accelerometer, a gyrosocope, six RGB LEDs, as well as sound and communication sensors. Wink is an Arduino-driven robot designed to help transition students from graphical programming to more powerful written code languages. It’s also the sibling of the aforementioned Ringo. Kano is a computer and coding kit for all ages that’s as simple as LEGO, powered by Raspberry Pi. Primo Cubetto is a smart wooden robot designed to teach kids the basics of coding away from the screen. Petduino puts a DIY twist on the old-school Tamagotchi. STEMI is a hexapod that can be built right at home and controlled via smartphone. mCookies are quarter-sized, stackable modules from Microduino that enable young Makers to bring their LEGO projects to life. Modulo is a set of tiny modular circuit boards that takes the hassle out of electronics. The Crafty Robot is a paper toy unlike any other — plug it into a USB port for 30 seconds, unplug it and you’ve got a moving robot. Kamigami is an origami-style robot you can construct and program by yourself. Each one can be configured with a unique set of behaviors and characteristics through a drag-and-drop interface. Phiro is a LEGO-compatible robotics toy that children can play with, code and innovate in various ways. With Quirkbot, young Makers can devise and configure quirky robots (hence its name), blinking outfits and weird sounding creatures out of regular drinking straws. Cannybots are LEGO-compatible, smart toy cars that introduce kids to the worlds of robotics, programming and 3D printing. 3DRacers is a Mario Kart-like indoor racing game that lets anyone design and 3D print their own car. Volta Flyer is the world’s first DIY airplane kit that is solely powered by the sun. Roby is a 3D-printed robotic machine that not only drives on four wheels, but can walk on two. If it falls, it can even pick itself up again with its pair of arms. O Watch is a DIY smartwatch for a kid, by a kid. 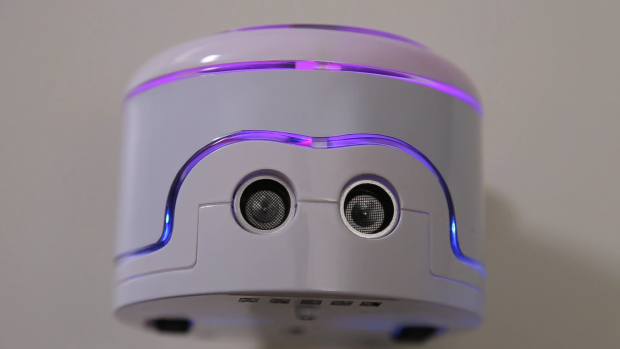 LocoRobo is a cute, inexpensive robot capable of being wirelessly programmed. KamiBot is a programmable, smartphone-controlled paper robot. Pixel Pals are easy-to-build, fun educational kits that grow from a project to a friend you can program. Fiat Lux is an Arduino-compatible kit specifically designed for unique wearable projects. AZIBOt is an open source, 3D-printed robot kit for STEM education in Africa. This entry was posted in Arduino, Arduino-Compatible, Maker Movement, Young Makers and tagged 3DRacers, AZIBOt, Bare Conductive, Cannybots, DIY, Jewelbots, KamiBot, Kamigami, Kano, littleBits, LocoRobo, Makeblock, Maker Movement, Makers, Makey Makey GO, mBot, mCookie, Microduino, Modulo, O Watch, Phiro, Plum Geek, Quirkbot, RePhone, Roby, STEM, STEMI, The Crafty Robot, Thimble, Touch Board, Volta Flyer on December 30, 2015 by The Atmel Team. Just in case you needed any more proof that the Maker Movement has gone mainstream, here’s a quick look at five times Atmel-based projects got some TV love this year. An Arduino Uno (ATmega328) was the unexpected guest on “The Tonight Show” in April when 14-year-old Sahar Khashayar had the once-in-a-lifetime opportunity to show off her project, the Wildfire Warning System, during Jimmy’s “GE Fallenventions” segment. The project Conan was referring to was none other than Simone Giertz’s infamous Wake-Up Machine that has attracted millions upon millions of views over the last few weeks. Not a fan of the morning, the always innovative (and hilarious) Maker decided to build an alarm mechanism that would literally slap her in the face with a rubber arm until she got out of bed. To achieve this, she picked apart an ordinary alarm clock, wired it to an Arduino Uno (ATmega328), and controlled a 165rpm brushless DC motor through a relay. We’ll have to wait and see if Giertz gets the invite to demonstrate it live! Not only are startups launching their products on crowdfunding sites like Kickstarter and Indiegogo, a few have even taken their chances in the “Shark Tank.” Like for example, sisters Melissa and Lavanya Jawaharlal, who together founded STEM Center USA with hopes of inspiring the next generation of engineers. The dynamic duo ended up closing a $200,000 deal with QVC’s Lori Greiner for their robotics education concept, but not before attracting interest from Silicon Valley venture capitalist Chris Sacca. Actress Lupita Nyong’o recently appeared on “The Daily Show” to talk about the highly-anticipated release of Star Wars Episode VII: The Force Awakens. But it was her color-flicking dress that stole the spotlight. Created by Zac Posen in collaboration Google’s Made With Code initiative, the garment was embedded with over 500 programmable LEDs underneath a top layer of fabric, which sparkled as Nyong’o was welcomed by Trevor Noah. If you recall, the partnership between the designer and Google was announced at New York’s Fashion Week back in September, where the Adafruit FLORA (ATmega32U4)-powered dress was first modeled at Posen’s runway show. According to The New York Times, Wall Street Journal, USA Today and TIME, the littleBits Gizmos and Gadgets Kit was one of the year’s top gifts. It was so popular that it even made a cameo on “The Ellen Show” on December 18th, when Ellen and her sidekick Andy Zenor debuted their own drawing robot. Even better, the entire crowd went home with the DIY set! This entry was posted in Arduino, Maker Movement and tagged Adafruit, Arduino, Maker Movement, Maker Movement Mainstream, Maker Movement TV, Makers on December 30, 2015 by The Atmel Team. It’s safe to say, the future looks bright! Over the last couple of years, the Maker Movement has ushered in a new wave of low-cost hardware that enables anyone of any age and skill level to begin tinkering. Easy-to-use boards like the Arduino continue to lower the barriers to entry, while simplifying the prototyping process. Ultimately, this allows kids to explore basic electronics, learn coding, pursue STEM-related disciplines, and in some cases, even start their own business. Do you recall what you were doing back in the summer of fourth grade? Chances are you weren’t creating a programmable, SAM D21-based smartwatch like eight-year-old Omkar Govil-Nair, let alone launching a successful crowdfunding campaign. Quin Etnyre already has quite the resume for a 15-year-old. After discovering his passion for tech, the self-taught whiz-kid has created his own company Qtechknow, taught classes at MIT, been invited to the White House and garnered over $40,000 on Kickstarter all within three years. Most recently, he introduced a tiny Arduino-compatible board complete with a built-in battery charger and fuel gauge. What do you do when you’re a 13-year-old app developer who doesn’t have the money to shell out for a new pair of Google Glass? You build your own, of course! Hong Kong resident Jordan Fung devised a smart glasses attachment powered by an Arduino Nano (ATmega328) that shows him data and control information via a tiny FLCoS display. Eighth grader Shubham Banerjee constructed a braille printer entirely out of LEGO as a way to improve access and literacy for the visually impaired. More impressively, his startup Braigo Labs received venture capital funding from Intel late last year. 17-year-old John Wall loves crafting his own open source wearable gadgetry. From OLED watches to Bluetooth/NFC bone-conduction audio headsets, the future Stanford grad has done it all. “What if there was a way to record our own sounds and play them back whenever we flew our LEGO spaceship?” This was the simple question that prompted eight-year-old Chase Freedman to explore his imagination and develop an attachable, Arduino-friendly device that lets kids record or download sounds to enhance their playtime experience. Jimmy Fallon welcomed 14-year-old Sahar Khashayar onto his show earlier this year. The ninth grade student had the chance to demonstrate her inexpensive device capable of detecting wildfires (and house fires, too) and sending a text alert to emergency personnel before flames rage out of control. During a Maker Camp last summer, 13-year-old Nick Anglin noticed that there was a void in the market for Little Leaguers looking to learn how to pitch accurately. Whereas most middle schoolers would simply draw a rectangular box out of chalk on a brick or concrete wall and then proceed to throw the ball at the makeshift strike zone, this Maker decided to take a much more high-tech route with the help of lasers and Arduino. With the help of 3D printing and Arduino, Nilay Mehta was able to build an inexpensive, voice-controlled robotic arm. The Irvine, California high school student programmed the unit to mimic the movements of an actual human hand, such as pinching, grabbing or holding a utensil. Using voice commands through a two prong microphone attached to the limb, the arm can carry out specific actions at the request of its wearer. What do you do if you’re a 17-year-old whose aspirations of flying an airplane have been grounded by the FAA due to a pre-existing medical condition? Having been interested in aviation for quite some time and still determined to one day earn his Class 3 pilot’s license, Aidan Fay decided to design a full-scale Cessna 172 simulator right in his bedroom. And unlike other computer programs and video games available today, the San Diego-based Maker wanted a system that would take his training to whole new heights. His life-size cockpit includes everything from pedals that control actual airplane rudders and brakes, to a steering yoke, to an Oculus Rift running Lockheed Martin’s Prepar3D software for a truly immersive experience. As seen at the Westport Maker Faire, second grader Emmett White came up with a Pinewood Derby car that uses an Arduino Nano, an accelerometer and an LED display to collect and display information as it travels. Wake up and smell the coffee, literally. This is what Guillaume Rolland, an 18-year-old French entrepreneur, set out to accomplish with the world’s first olfactory alarm clock. The unit awakens its user with a scent rather than an abrupt audio alarm. This entry was posted in Arduino, Maker Movement, Young Makers and tagged Arduino, Brick Sound Kit, Maker Movement, Makers, O Watch, Pedosa Glass, Qduino Mini, Qtechknow on December 22, 2015 by The Atmel Team. A look at how major brands can leverage the burgeoning Maker Movement and IoT to enhance both the customer experience and their marketing efforts. If you need any further validation that the Maker Movement has picked up steam, just take look at what some major brands have done over the last several months. The Adafruit Pro Trinket-equipped Netflix Socks detect when you’ve dozed off and send a signal to your TV, automatically pausing whatever it is you’re binge-watching. This concept shoe is made up of an upper constructed from ocean plastic materials along with a 3D-printed midsole of recycled polyester and gill net. This pair of high-performance running shoes will include a 3D printed-midsole. The Back to the Future II-inspired, self-lacing Nike Mags are now a reality. This concept RC F connects to a driver and displays their heartbeat in real-time through electro-luminescent paint. The turtlish BeachBot autonomously creates large scale sand drawings. The Parse for IoT SDK supports the Arduino Zero with the Wi-Fi 101 Shield as well as the Arduino Yún. The cruise line’s latest groundbreaking ships, the Quantum of the Seas and Anthem of the Seas, features two bartending robotic arms that precisely mix drinks to order. The online empire revealed the latest prototype of drones it will deploy as part of its Prime Air service, as well as a connected Dash Button that lets shoppers reorder frequently used household products with a simple touch. This ‘wearable’ banana, which was designed for the Tokyo Marathon, is equipped with an LED display and sensors under its skin. The smart fruit monitors a runner’s race time and heart rate, and even shows tweets urging them onwards. This piggybacking robot, aptly named Tomatan, feeds a wearer tomatoes as they jog. The clothing company partnered with Google’s Project Jacquard to bring touch-sensitive smartphone control to jeans. The European airline, with the help of CuteCircuits, unveiled a first-of-its kind smart uniform for both cabin crew and aircraft engineers. The futuristic, LED-laden outfits will enhance communication and passenger safety procedures. The company’s FirstBuild microfactory debuted an affordable, in-home nugget ice machine, Opal, that went on to garner more than $2 million on Indiegogo. The manufacturer plans to begin selling the first highway-ready, 3D-printed cars next year within the price range of $18,000 to $30,000. The sweets giant partnered with 3D Systems to make an advanced chocolate 3D printer. The pasta maker held a 3D printing competition to explore new shapes and designs. The shoe brand showed off a possible future alternative to heading out to its store by experimenting with drones as a delivery option at a pop-up store in Japan. The Easy Order smart button pairs to a smartphone app via Bluetooth and makes ordering your favorite pizza simpler than ever. The company let customers 3D print parts for their vacuums by downloading the accessories on Thingiverse. The UK jean specialist used Bare Conductive’s Electric Paint and Arduino to turn its window storefront into a touch interface. The Talking Fridge was embedded with Arduino-based sensors to detect customers and sell itself in real-time. … and while not the brainchild of McDonald’s itself, this project was pretty awesome. The McNugget vending machine is comprised entirely out of LEGO. Simply insert a €2 coin, sit back and let it deliver a box of chicken in seconds, complete with the requisite dipping sauce. This entry was posted in Maker Movement and tagged Brands Maker Movement, IoT, Maker Movement, Makers on December 18, 2015 by The Atmel Team. As part of an annual tradition, this engineer illuminates his family’s gingerbread house with an AT90S1200. The Gingerbread House Illuminator was developed by Geir Kjosavik, Atmel Director of QTouch Product Marketing, back in December 1996. At the heart of the design lies an AT90S1200 — but not just any AT90S1200. This particular device is the very first AVR MCU to ever run user code. The current FW (which has been left unaltered since ’96) runs a pseudo random number generator that seeds four independent PWMs with different intensity sequences so that the connected LEDs mimick a flickering fireplace light. The Illuminator has been a longstanding tradition in the Kjosavik family’s annual gingerbread house — now in its 20th consecutive holiday season. See it in action below! Enjoy this festive project? Then you’ll also love this teched-out Christmas tree comprised of and powered by Atmel | SMART SAM D21 MCUs. 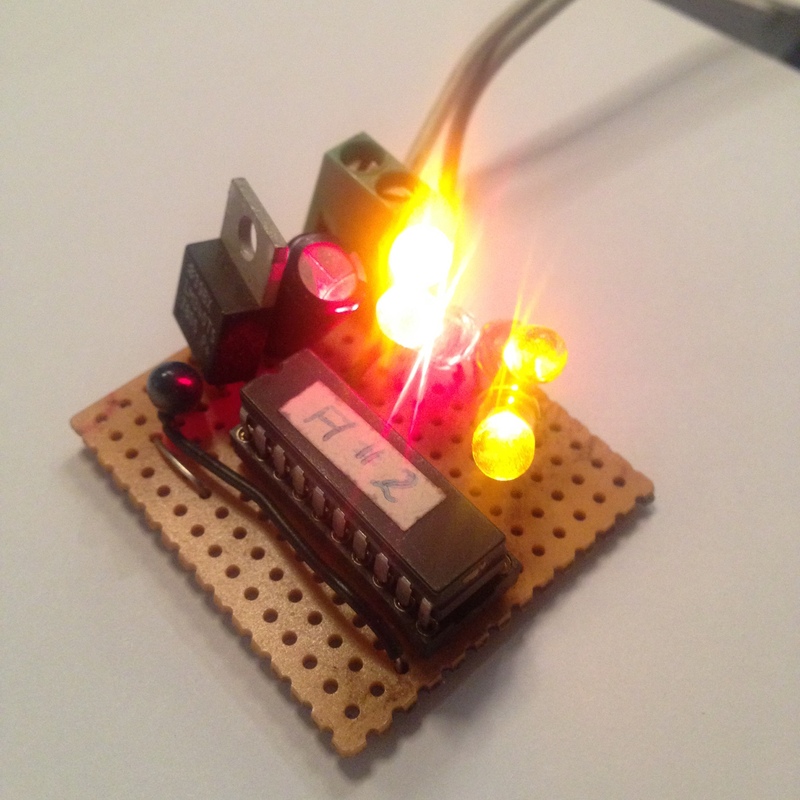 This entry was posted in Maker Movement and tagged AT90S1200, Gingerbread House, Gingerbread House Illuminator, Gingerbread Illuminator, Maker Movement, Makers on December 17, 2015 by The Atmel Team.